City Express Ciudad de Mexico Alameda is a 3.5* hotel located in Mexico City-Historic Center, Mexico. It features 112 rooms. 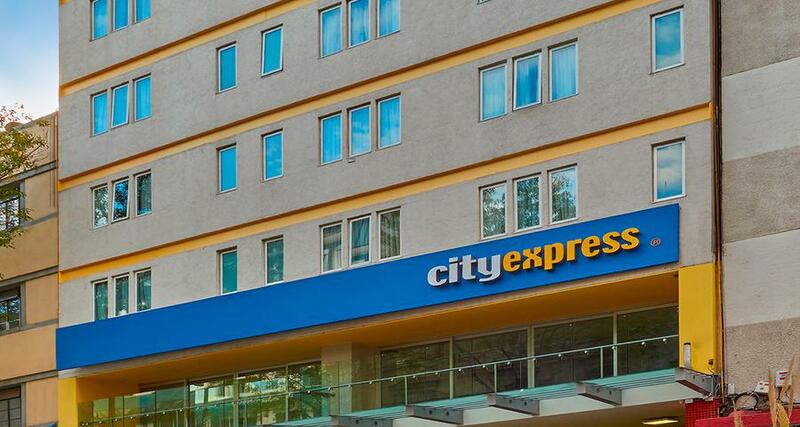 City Express Ciudad de Mexico Alameda offers services and amenities designed for business travelers, such as wireless Internet access, a business center and meeting and event facilities. All of the guestrooms are equipped with a desk and all the necessary amenities for a comfortable and productive stay. This hotel is an excellent choice of accommodations in Mexico City, not only for its affordable rates but also because of its convenient location behind the Metropolitan Theater, between the Historic Center and the Paseo de la Reforma. In addition, it offers parking with extra charge and continental breakfast in the mornings.